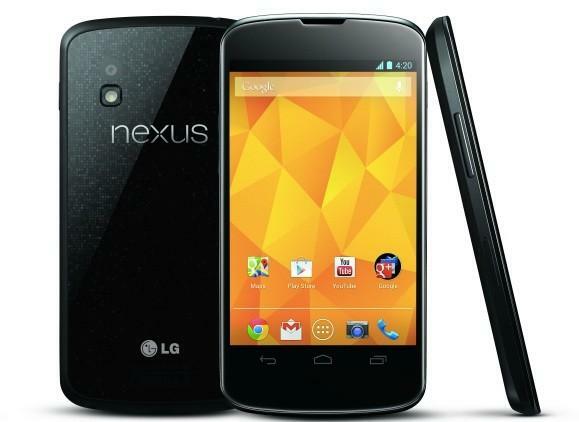 There’s little question that the explosive popularity of the Nexus 4 has led to frustrations as shipping delays and out of stock notices seem to be more prevalent than customers receiving their devices. With supplies of the handset scarce, many are turning their frustration toward Google who is once again suffering from a poor customer service response and not directly tackling the issue in the public arena. The good news is that at least one Google manager is taking to the airwaves to try to smooth over some of the anger and frustration. Google’s UK and Ireland Managing Director Dan Cobley posted a message on his Google+ surrounding his company’s Zeitgeist end of year compilation which quickly shifted into a discussion about the Nexus 4. As of this writing, Cobley has responded several times and all but directly fingered LG as the delay culprit. In fact, I’ve grouped all of Cobley’s responses below (again, at the time of this writing, the conversation is still ongoing) and it’s clear that his reaction wasn’t something we’d consider “knee-jerk.” Cobley’s answers are the best we’ve seen from Google yet and certainly count as the highest ranking responses to questions surrounding Nexus 4 supply constraints and poor shipping schedules. Cobley said that orders placed with a 3-5 day shipping estimate are through and that pre-Christmas shipping orders were also said to be going through shortly. Cobley explained that credits are bring issued to Google Play Accounts for shipping charges. Mind you this discussions is out of the UK but we expect the general conversation applies everywhere the Nexus 4 is available. You can read all the quotes below and head over to the Google+ conversation to see if any new developments pop up. Thanks for your patience and my profuse apologies again for the poor service you have all received. I agree that this is not how we should be communicating with our customers. I am still waiting for an answer from the team that I think is good enough to share. I hope to get that and share it tomorrow. Thanks again for your continued patience. We continue to work on resolving this issue and I am confident that we will have a more definitive message in the next 24 hours. I can only apologise again for our communications having let you all down so badly through this period. I know that what you are going through is unacceptable and we are all working through the nights and weekends to resolve this issue. Supplies from the manufacturer are scarce, and our communication has been flawed. I can offer an unreserved apology for our service and communication failures in this process. I doubt its LG’s fault – several reports point to a misread by Google on Play Store demand, and how they ordered lesser number of units. Other reports show out of whack shipping, early orders not fulfilled while newer ones are shipped – this again cannot be placed at LG’s feet, the buck would stop at Google or UPS. Nothing new at Google Checkout. Took them THREE MONTHs to find my Nexus 7 return to refund me. I had to bug them every step of the way. More stories that only point to continued mismanagement. I don’t know how applicable what he is saying is for the USA – several customers who ordered Nov 27th have yet to get their orders, while some people who ordered Dec 6-12th got their devices in 2-3 days. How can it be an LG issue when orders are fulfilled non chronologically? This also means they have a supply of units somewhere, maybe not for every single order. Several enterprising customers re-ordered Dec 6-12th, got their devices, and cancelled their earlier Nov 27th orders. This is definitely not a “supplier” issue, rather a “distribution” issue. Definitely distribution related. I ordered mine on Wednesday morning two weeks ago, got a shipping confirmation on Thursday, and had my phone Monday. I could only imagine what these rushed devices out of LG will be plagued with. After the G2x, I stay away from this company. Your tin foil is wrapped a bit tight bud. I don’t wear tin foil hats clown. LG is a FU’d company. They do not back what they make. You comment pissed me off but I’ll let it go. Nah, they make awesome LED tv’s. Proud owner of a 55″ and 47″ LED’s from LG. I’m sure its Google’s fault. Does LG ever NOT drop the ball? Calling BS on the “orders placed with a 3-5 day shipping estimate are through”. I ordered my Nexus 4 on November 13th within the first 25 minutes it was up. I was given a 3-5 delivery notice. I NEVER received a back order notice. It is now 34 days since I ordered my device and I still do not have it. Sure, LG has their share of problems when it comes to smartphones, but the vast majority of their doldrums come from software, not hardware (slow updates, buggy firmwares). The lion’s share of blame on this botched launch should belong squarely to Google – with such aggressive pricing, how could they not see supply problems arising? Don’t get me wrong – I love the fact that Google has up-ended the industry by offering top-end hardware at a no-contract price comparable to carrier-contract subsidized pricing, but they should have planned for the massive demand. They ran short on the Galaxy Nexus when it was first offered on the Play Store at $350 (even with Samsung’s massive production capability) – they should have seen this coming a mile away, and setup a better pre-order/back-order logistics system. i got my 2nd nexus 4 order in a week, even though it sad 3-4 weeks i think. I don’t see this Google UK guy directly blaming LG. All the statements you extracted apologize for flawed communication, note “supplies from the manufacturer are scarce” (duh) and vaguely allude to some positive news that they might be able to share sometime in the future (great). Besides, even if the blame rests solely with LG, what can Google say publicly about their sole supplier of this phone? I would rather have Google take the blame (deserved or not) and say we grossly (hopefully not purposefully) underestimated demand and have ramped up production accordingly such that by January there will be no more shortages. Or maybe they can explain what “sold out” means in terms of turn around (vs the “ships in 6-7 weeks” claim they had before). Google handles RMA’s for the first year. They ship you a new unit with a return label. Obviously that’s alittle tough right now since they have also burned through their RMA stock, but that shouldn’t be a problem much longer. I won’t argue that the G2X sucked. I’m very shocked that after all the LG Bashing, this device sold out and is more out of stock than Any other Android device ever. I guess LG made the bumper as well seeing its just as hard to get as the phone . I got my phone, now I just want to buy a bumper. Wonder if they will ever be in stock?